You can claim for any loss which arises as a direct consequence of the road traffic collision. 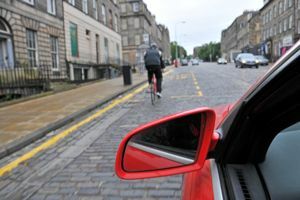 Unfortunately, as a cyclist, you are exposed to the risk of serious injury and, if you have been injured, it may take some time for the injuries to heal. The value of your claim for personal injury very much depends upon the type of injury sustained and the recovery you have made or are likely to make. We can arrange to have you medically examined by a specialist medical expert, who will be able to assess the extent of your injuries and the likely recovery period. In serious injury cases you can also claim for care needs, future care needs and requirements, as well as alternative or specially adapted accommodation. If you’ve been injured in a cycling accident, call Cycle Law Scotland for an immediate, no obligation, free legal consultation on 0333 555 7783.